Everywhere in the world, incubators for social entrepreneurs are multiplying. Indeed, being part of a network of like-minded people is the ‘capital’ required to collaborate, be inspired, and have access to various resources. Born in UK in 2005, the Impact Hub Movement counts 7,000 members all over the world in more than 40 locations. Lesley Williams, founder of Impact Hub Johannesburg and board member of Impact Hub Global, gives us some information about the model of this social-enterprise. Why Impact Hub Johannesburg was created? I am a social-entrepreneur who wants to be involved in the Impact Hub network, how does it work? 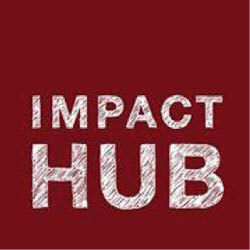 What is the business model of Impact Hub? How many people are involved in Impact Hub Johannesburg? Do you have three words to describe the spirit of your organization? What was the biggest difficulty since the creation of Impact Hub Johannesburg? Today, many young South-African want to embark on an entrepreneurial adventure to help society, do you have a piece of advice for them? “Sometimes, it is just about doing it and learning as you do it! Interview conducted in March 2014.